As anticipated, Nokia today took the stage in London to unveil its latest star in the budget lineup. The phone is called the Nokia 7.1. 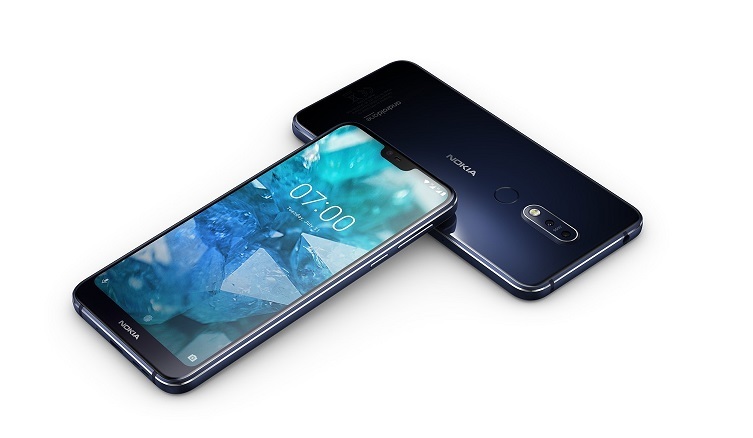 Or the all-new Nokia 7, as some of the company’s officials have referred to it during the presentation. Design-wise, the Nokia 7.1 doesn’t really bring anything new. The phone is made of glass and metal, just like most upper-middle-rangers and flagships these days. 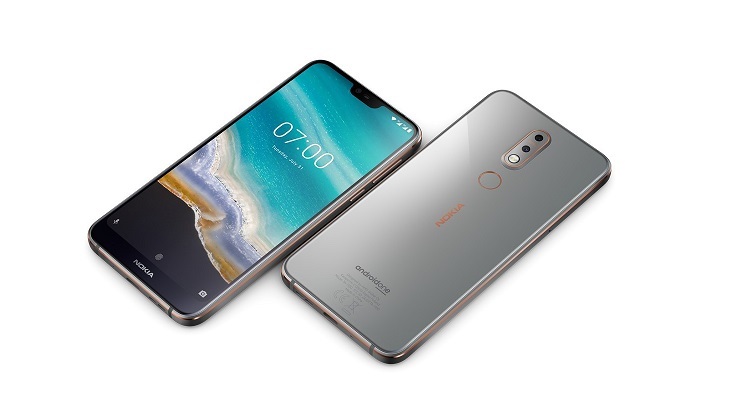 It also features a notch on top of the 5.85-inch LCD display. Nokia says the front panel is really bright and that it has the potential to be perfectly legible even in bright sunshine. The display boasts 1080 x 2280 resolution and has HDR10 support, which is quite an unusual feature in this segment. Additionally, the phone’s screen can do real-time HDR conversion to SDR videos. When it comes to performance, the Nokia 7.1 relies on a pretty decent Snapdragon 636 chipset, that’s paired with either 3GB or 4GB of RAM and 32GB/64GB of storage. If that leaves you wanting more, you can expand via the microSD card slot. Moving on to photography, the new Nokia 7 boasts a Zeiss dual-camera setup on the back that pairs a 12MP (f/1.8) sensor with a secondary 5MP monochrome one. Nokia has embedded a real-time “Live Bokeh” mode on the main camera, that lets you adjust the focus before and after you take the photo. On the front, the handset enjoys the presence of two 8MP sensors. Bothie mode, the feature that allows taking pictures using the front and back camera simultaneously, also makes a return on the Nokia 7.1. Other features include a 3.5mm headphone jack and 3,060 mAh battery with fast charging. Nokia says that users will be able to juice up 50% of the battery in just 30 minutes or so. 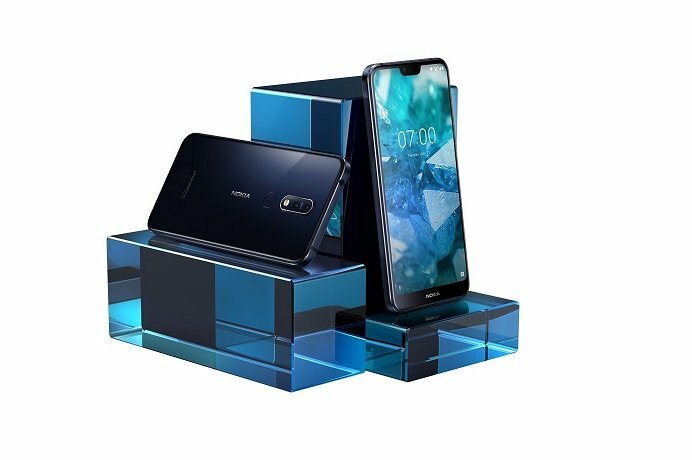 The Nokia 7.1 will ship out with Android 8.1 Oreo out of the box. It’s part of the Android One program, and will supposedly get the Android 9.0 Pie update in November. The new device will go up for pre-order at Amazon, Best Buy and B&H starting tomorrow (October 5) in the US, with shipments expected to start on October 28. The phone will retail for $349 and will be available in Gloss Midnight Blue and Gloss Steel. On top of that, a Clear Case priced at $10 and up and a Flip Cover that will start at $20 will also be offered. Alongside the Nokia 7.1, the company also announced its first pair of headphones called the Nokia True Wireless Earbuds.